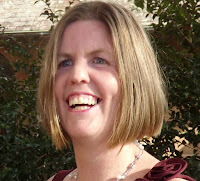 Today I'm pleased to introduce you to my blogging friend, Erin, who hails from the land down under. I believe we first "met" through the Read-Aloud Revival facebook page (when it still existed). Erin is a homeschooling mom of ten children (yes, ten! ), and I'm continually inspired by the way she balances education and real-life experiences and fun. They are currently renovating their house, and the whole family is involved in the construction. (I'm especially excited to see their completed home library--squeal!!) Her blog posts about books and glimpses into everyday life in rural Australia are not to be missed, and she is just an all-around really nice person. I hope you'll appreciate her insights into how she and her husband have raised a family of readers. Reading in our household is an integral part of our family culture: our children are read to from birth through to their teenage years, reading independently is nurtured, and reading as a pastime is highly valued. Our children are surrounded by books as our home literally contains thousands of books: books purchased, gifted and found at book sales. Both my husband and I are readers as are our children; conversations, activities and movie watching are entwined around our love of reading. Simply, reading is something we do as a family. and it was enlightening to hear reoccurring themes. Essentially, our children felt the key components of raising readers in our family have been: our family read-alouds, the emphasis placed on the value of reading and the time allowed for this, our insistence on quality literature, the teaching and nurturing of burgeoning readers, sibling interest and passion shared, a family culture created, the sheer amount of books they are surrounded with, and my willingness to search for books of interest for each individual child and my quest to provide them with these books, whether via our own shelves, the library or purchasing. Admittedly, scouring book lists and searching for the ‘morsel to tantalise the taste buds’ of some of our children is an endeavour that has consumed many hours over the years. I’ll allow the children to speak for themselves. “We had a ready supply of books and options. You found books in the genre I liked and supported me in my love of series. You would search to find books I was interested in and were willing to buy the books and series if we couldn’t find them at the library. You would go through our shelves at home and find books I might be interested in and give me huge piles to select from. “From a young age reading was encouraged. When learning to read we received lots of praise; when we had progressed and began reading short books and later chapter books we received lots more praise. Learning to read was a big deal. As we continued strengthening our skills it was all praiseworthy. “You found books I was able to read that were interesting and made sure there were library books all around that I would like, that helped me want to learn to read. It helped having a supportive Mum who didn’t get angry, who was patient when I was learning to read." A reading environment doesn’t automatically translate to early reading. In fact, not many of our children learnt to read at a young age; indeed, most read at an average, or later than average, age, with a couple not reading independently and for pleasure until the age of eleven. Our goal however is to create a love of books and reading within each of our children and that we have succeeded at. Our desire and commitment is to expose our children to primarily quality literature; whilst we are by no means purists, the benefits of exposing our children to rich literature and ideas which are manifold are now playing dividends. where he is beginning to discover the magic of the written word for himself, as well as continuing to enjoy picture books and transitioning to listening to chapter books with his older siblings. I encourage you to begin creating a reading culture within your family today. Begin with one chapter at a time; snuggle, share, cry and laugh together. The rewards are rich indeed. 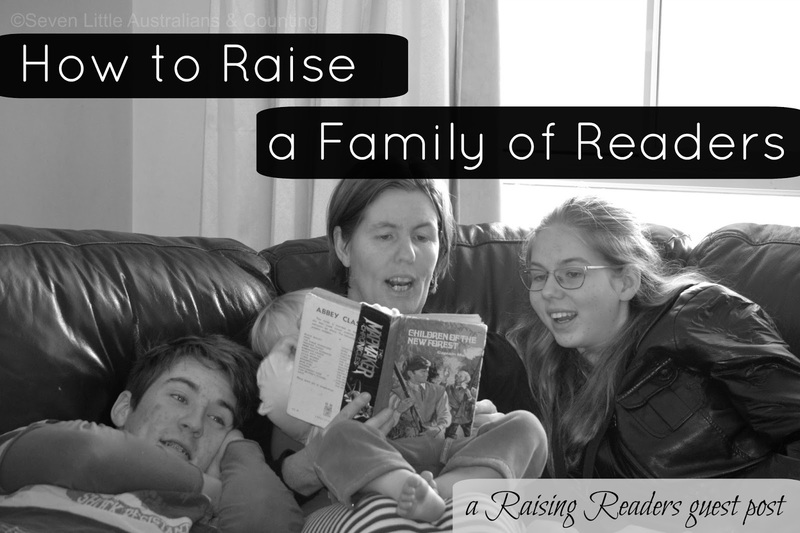 Whether you have one child or ten, grandchildren or nieces and nephews, how are YOU raising a family of readers? Erin wanted to be a librarian as a child, issuing the neighbourhood children with library cards and stamping the family books in and out, she can’t remember a time she couldn’t read. She makes her home in Australia with her husband and ten children ranging from twenty-two to two years, where they are literally surrounded by thousands of books. She chats about books, family and home education at Seven Little Australians and @sevenlittleaustralianscounting. Thank you Amy for asking me to share how we have nurtured our readers. It was an honour to share with you and your readers.